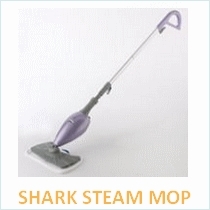 How to mop floors using both the traditional mop and the bucket-less mop aka the steam mop. Mopping the floor certainly isn’t one of the most pleasant tasks but it is definitely something we must do to have a clean home. 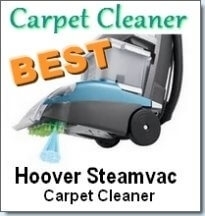 You can clean and care for you floors using the traditional mop, steam mop or steam cleaner. First we will look at how to care for your floor using the traditional mop. When should you mop your floors? 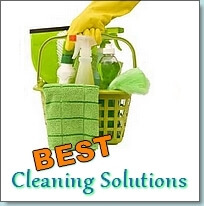 Some people mop daily, a few times weekly it all depends on your cleaning schedule and methods. Waiting for the floors to become sticky before mopping isn’t a good idea though! Floors go through a lot of wear and tear and are a breeding ground for dirt, germs and bacteria. 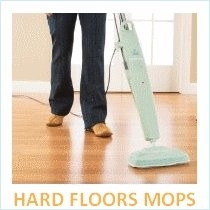 A mop that you should consider are Libman mops as they are notably easier to use than traditional type mops. The first thing you’ll want to do is gather your equipment. You can use a sponge mop if the surface of the floor is smooth but if it is textured you’re better off using the traditional white haired mop. Before getting ready to mop, you should first sweep the floors to remove loose dirt and objects from the surface of your floor. This also prevents you from creating an even bigger mess of water and dirt on the ground. According to the type of floor, you should use a cleaning solution that is appropriate and in the right amount when mixing with water. You shouldn’t use extra solution because this will just cause extra residue to build up on your floors. You can use a mop bucket or sink to mix your solution. Both have their advantages and disadvantages. The bucket is portable and will have built in wringers so you don’t have to use your hands. Using the sink has the advantage of being able to easily get rid of dirty water by simply un-stopping the sink and refilling it with clean water and solution. Either way, it is best that you use hot water when mopping to give extra sanitizing power. When you begin mopping, simply dip the mop into the solution and use the wringer to remove some. If you don’t have a wringer, use your hands (its best to wear gloves while doing this). This is done so that you don’t over saturate the floor with water which will cause damage over time. When mopping using the traditional white haired mop, move the mop in a figure 8 motion over the floors. If you are using a sponge, simply move up and down in straight lines. Whenever you are mopping a room, make sure that you start at the back of the room and move backwards to the entrance. You are doing this to make sure that you are always standing on the un-mopped parts of the floor to prevent from creating a bigger mess and having to re mop your footsteps. Make sure and rinse your mop in clean water frequently while you are cleaning the floor. 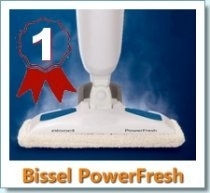 This is to prevent dirtying your floors and contaminating your cleaning solution. When you have finished, simply wash your mop and bucket and allow the room to dry. Using fans to the sides of the room can speed this up. Using a steam mop instead of a traditional mop makes your job a whole lot easier! Mopping using the above, traditional method is literally back breaking work. 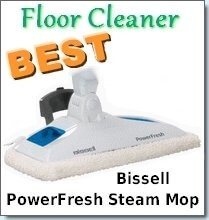 To make your life easier and your floors cleaner, you can use a steam mop. There is no need for a mop bucket, cleaning solution or having to handle dirty water. 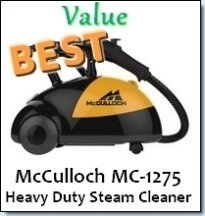 Simply sweep or vacuum the room and then unpack your steam mop, add water to the tank and plug it in. Once the steamer is ready, simply move it up and down your floors covering blocks at a time, moving from the back of the room to the front. All of the dirt will become trapped in the microfiber pad and the steam would have disinfected your floors. Once finished, simply switch off and allow to cool before removing the pad. All you have to do now is wash the pad and dry it and you’re finished cleaning.